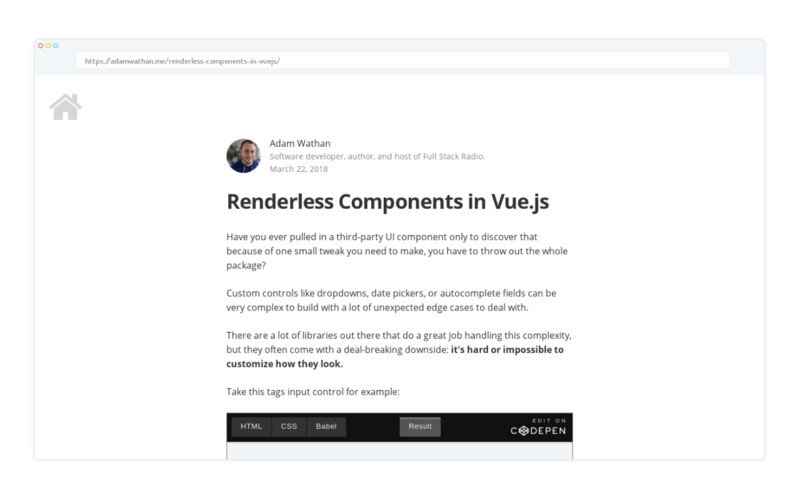 On his blog, Adam Wathan explains how to create your Components in a way that lets you still easily customize their styling. Debugging and reading a documentation are the most important skills of a developer. Learn about the thought process behind debugging with this Detective Story about Debugging by Kevin Ball!